Under the aegis of our honorable Chairman, esteemed Col. Dr. Jeppiaar M.A., B.L., Ph.D . Jeppiaar Engineering College was inaugurated on 15th August 2001 as one of the prestigious institutions of Jeppiaar Educational Trust. Col. Dr. Jeppiaar is an industrialist, educationalist, and a philanthropist who works for the technical education for more than 3 decades. It is situated in Rajiv Gandhi salai, Old Mamallapuram road, next to Sathyabama University,Chennai. Jeppiaar Engineering College was established in 2001, with the approval of AICTE & it is affiliated to Anna University. The college is accredited by National Board of Accreditation (NBA). The dynamic director of our college, Dr. Regeena. J. Murli,B.Tech., M.B.A.,Ph.D daughter of Col.Dr. Jeppiaar, with her hard work and determination, has made the institution reach great heights. Jeppiaar Engineering College is affiliated to Anna University and in the short span of time, it has grown into an institution that provides excellent technical education while keeping the overall growth and development of the students in mind. Both academic and non-academic activities are given equal importance; at Jeppiaar Engineering College, we take our students’ success very seriously. Experienced and qualified staff, quality driven labs, Excellent infra structure, effective classroom teaching and superior accountability are the reasons for the students’ achievements both in academic and co-curricular activities. The college is dedicated to prepare future graduates with the knowledge and skills essential to work and outclass in the aggressive global environment. Having dedicated to innovative learning, the college enables the students to achieve. Pursuing the goal of constant learning, the Institution prepares the students to score commendably in the academics. The college develops the students’ personality by personality development programmes and placement training. Discipline and counseling are meticulously done. To build Jeppiaar Engineering College as an institution of academic excellence in technology and management education, leading to become a world class university. To excel in teaching and learning, research and innovation by promoting the principles of scientific analysis and creative thinking. To participate in the production, development and dissemination of knowledge and interact with national and international communities. To equip students with values, ethics and life skills needed to enrich their lives and enable them to contribute for the progress of society. To prepare students for higher studies and lifelong learning, enrich them with the practical skills necessary to excel as future professionals and entrepreneurs for the benefit of Nation’s economy. Late Col.Dr.JEPPIAAR, the founder and Chairman of Jeppiaar Educational Trust and Jeppiaar Engineering College started his career as a police constable and by sheer hard work and perseverance rose to prominence. He was driven with a dream and vision and dedicated his life for establishing quality driven technical education. He had immense thirst for knowledge that persuaded him to pursue B.L. from the University of Madras, M.A. from Mysore University and Ph.D. from Anna University. 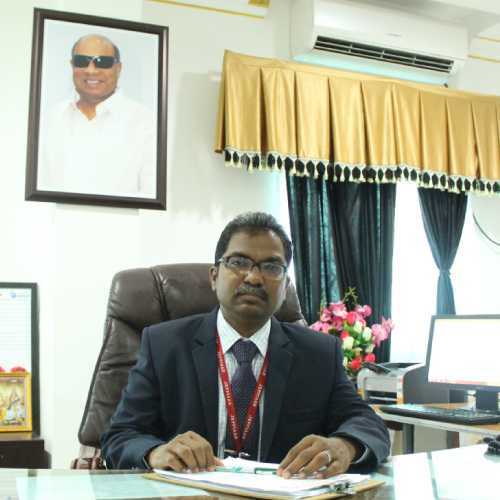 He was the President of the Consortium of Professional, Arts and Science Colleges of Tamil Nadu and one of the pioneers in privatization of engineering education in Tamil Nadu. Late Col.Dr.JEPPIAAR rose to great heights through his hard work and commitment. His philosophy of life includes the very known 3 C’s which are Confidence, Courage and Character. He has established several companies which include more than 30000+ employees working under Jeppiaar institutions and companies. 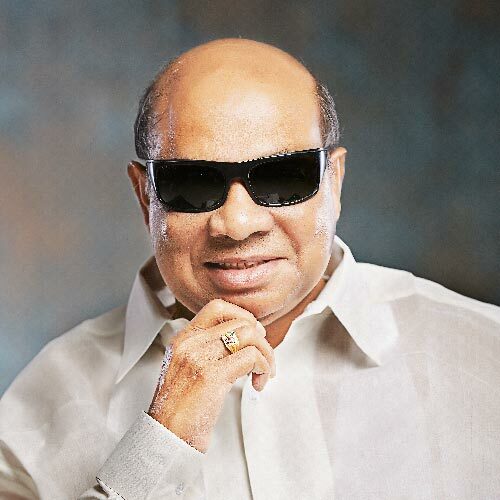 On 18 June 2016, he passed away from this world and as a tribute to him, a memorial museum was set up and inaugurated in the premises of Jeppiaar Engineering College. This museum is conceived and created with the inputs of his beloved daughter, Dr.Regeena J Murli. This museum is the first of its kind in India, which has been exclusively dedicated for an educationist. It has a collection of his various portraits, depicting his life and achievements in many fields such as academic, cultural, and social circles from his childhood till demise amongst his personal things. 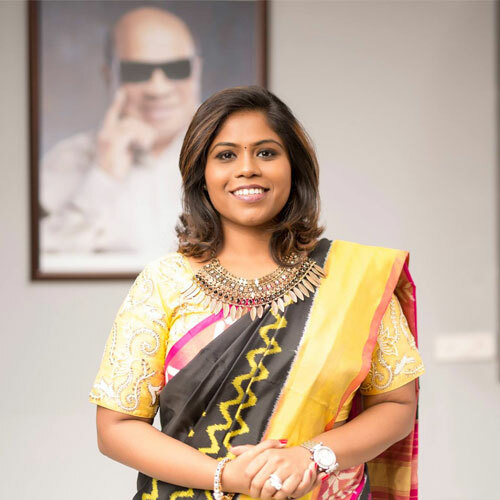 Jeppiaar Engineering College, from the day of inception is administered by vibrant and dynamic, Dr.Regeena J.Murli, daughter of iconic Late. Col. Dr. Jeppiaar M.A., B.L., Ph.D. The college administration is looked upon effectively in the core areas of academics, placement, sports, extra-curricular and hospitality and her pioneering works in developing the Institution is remarkable with much dedication, determination and hard work. Dr.Regeena J Murli’s vision is to build the Jeppiaar Engineering College into an institution of academic excellence in technical and management education and to make it as an world class University. This is why she ensures equal importance to both academic and non academic activities along with offering excellent facilities like a well stacked library, encouragement for sports and participation in cultural activities. She is also committed to Philanthropy and the Jeppiaar Sports Academy offers free schooling, sports training and hostel for students from economically lesser privileged backgrounds. She tries to help as many students as possible by going to remote areas, picking out children who needs help and aid them in all ways possible. She is also associated with many NGOs offering support to the needy and disadvantaged sections of the society. Her contribution to nation building and cultural development is very significant as she ensures that students imbibe not only technical education but also the values of life. Greetings and welcome to Jeppiaar Engineering College an institution under Jeppiaar Educational trust. Jeppiaar Educational trust strives to build Jeppiaar Engineering College as an institution of academic excellence in technology and management education, leading to become a world class university. The college has witnessed strong blend of state-of-the-art infrastructure and intricately intertwined human resource committed to provide professional education with thrust on creativity and innovation. The motivating environment in Jeppiaar engineering college for knowledge assimilation, generation and dissemination with a sense of social responsibility, human values and concern for social commitment has carved a niche for itself among the best engineering colleges in Tamilnadu. Our college emphasis on Outcome Based Education (OBE) and Experiential Learning. The academic activities concentrate on helping the students to gain an excellent theoretical knowledge base and in the development of skills to implement them. We are constantly reviewing our set up to update and improve while making sure that students gain thinking skills, analytical frameworks, entrepreneurial skills, interpersonal and communication skills. The thrust area for research areas are. Robotics & Automation, Artifical Intelligence, IoT, Nano technology etc. There is an ample of scope in co-curricular and extracurricular activities at Jeppiaar Engineering College, wherein the students are encouraged to show their talents. The provision of extracurricular activities like sports and cultural activities strengthen the process of learning, and help to inspire in the students the values of hard work, discipline, fair play and the spirit of sportsmanship. The state of the art auditorium and a one of its kind sports village have played host to numerous sporting events and cultural activities. We strongly encourage students to participate in these activities and showcase their talent. The college ensures that the students prove themselves to be not only well qualified engineers but also very responsible and ideal citizens of our country.